Join your fellow Chamber Collaborative members for a morning of networking and great coffee. This opportunity to meet new members and reconnect with old is presented by Service Credit Union and hosted by Great Bay Stewards at the Great Bay Discovery Center in Greenland. 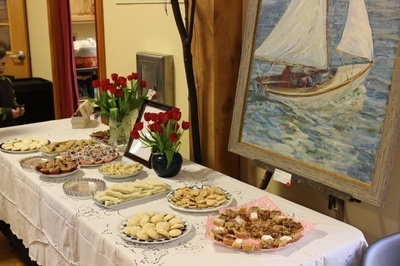 The Morning Mixer will coincide with the opening of the 15th Annual Art of Great Bay Show, hosted by Great Bay Stewards. The theme of the show is Art Inspired by the New England Coast, to include works celebrating the culture, architecture, activities, and environment of the region. The show typically includes a wide variety of art forms, such as paintings, sculpture, drawings, photography, jewelry, pottery, textiles and other small art items. Attendees will have the opportunity to explore the Art of Great Bay Show and the grounds of the Great Bay National Estuarine Research Reserve. For information, contact Allison Knab, executive director, Great Bay Stewards at allison.knab@greatbaystewards.org or 603-778-0015. The Great Bay Stewards, a non-profit organization established in 1995, plays an integral role in a variety of programs associated with the Great Bay National Estuarine Research Reserve. Through fundraising events, private donations, and educational programs, the Stewards provide critical support to supplement state and federal funding received by the Reserve. To fulfill its mission to protect Great Bay for future generations, the Stewards also work with area organizations to raise awareness of critical issues and promote estuarine conservation. Its most recent initiative– Become a Great Bay Tide Turner – is an educational program working with local homeowners to reduce stormwater pollution from residential properties. To learn more about supporting the Stewards and our work, visit GreatBayStewards.org. 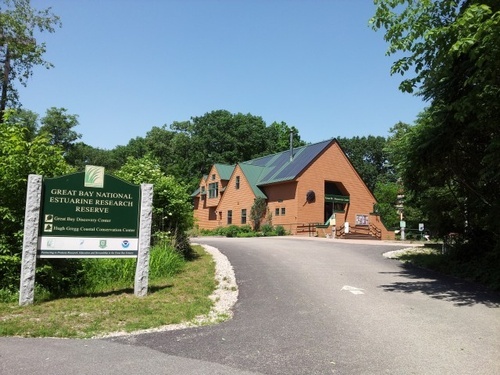 In 1993, the Great Bay Discovery Center opened on the shores of Great Bay and serves as the education headquarters of the Great Bay National Estuarine Research Reserve. Located in Greenland, N.H., the Center is a popular destination for thousands of annual visitors. Inside the Discovery Center there are interpretive exhibits about the Great Bay estuary and the amazing creatures that call it home. Children can get their hands wet in an estuarine touch tank as they learn about lobsters, horseshoe crabs, and mud snails. There are also interactive displays about salt marsh farming, salmon migration, plankton, tides, and research on the Bay. Outside there are interpretive trails, a boardwalk, a children’s play area, and other facilities. The boardwalk was rebuilt in 2016 – funded in part by the Great Bay Stewards. For information about the Reserve and its programs, go to GreatBay.org.